Hans-Joachim Jahn, is the Applications Specialist for the temperature control product line at Thermo Fisher Scientific, for the EMEA region. 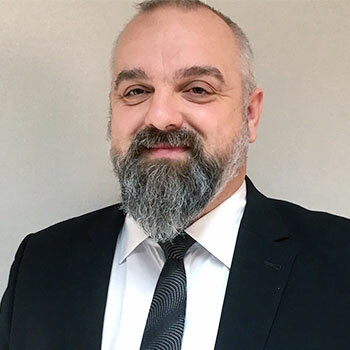 He is responsible to bring engineering principles, methods and techniques for solving temperature control application issues for our customers, primarily pre-sales and post-sales technical support. Mr. Jahn is member of the DIN working group DIN-FNK NA 054-04-04 AA and supporting for us the DIN 75201 for Determination of the windscreen fogging characteristics of trim material in motor vehicles. Mr. Jahn was a Sales Engineer for international companies developing business/distribution channels in Europe which included training responsibilities. He has over 10 years of international Sales experience and experience in Industrial Engineering, Service, Technical Support, Trade Fairs and Sales. He received his Industrial Engineer at the Technical University of Applied Sciences 2004. Mr. Jahn is based in our German office in Karlsruhe. CASE STUDY: Horizon Fog Testing Systems.